Tammy Holt-Still wants you to know she is not pleased. Nearly two years after a historic flood surrounded homes in Lemmon Valley, a small community of about 5,000 people eight miles outside of Reno, Holt-Still continues to be a fixture at county and city meetings. She leads a group of vocal residents who want Washoe County and the city of Reno to do more to address stagnant water in Swan Lake, a shallow bowl of land that barely fills most winters. The water is still there, she reminds the politicians. There is algae now, she notes. The roads are lined with Hesco barriers, temporary rectangular containers filled with stones and used to control stormwater. Residents must take circuitous detours to their homes. “We have always been ignored,” Holt-Still said, driving near Swan Lake on a recent afternoon. Lemmon Valley is a closed hydrological basin with no outlets for water. The water that is there can only leave through evaporation into the air or infiltration into an underground aquifer. Both processes are painfully slow. That is one thing everyone, from the county to the residents, agree on, because the presence of water highlights larger struggles around growth and development. 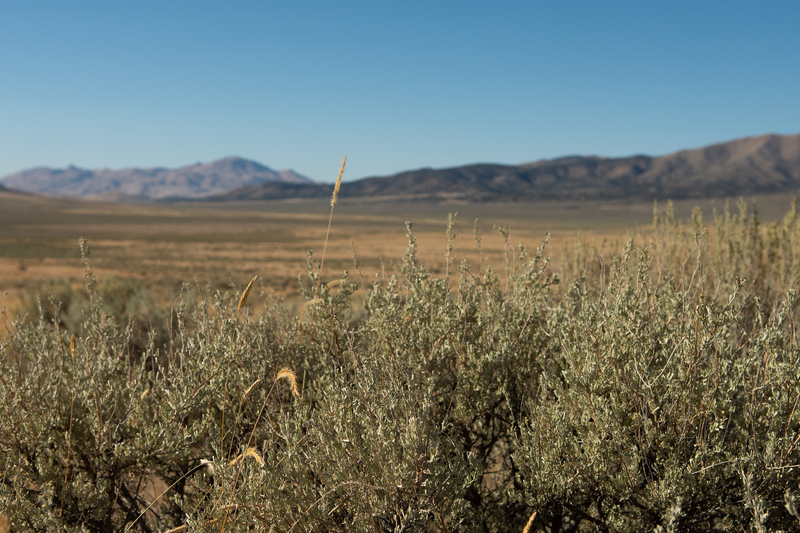 As the crow flies, the North Valleys are not far from Reno. But it takes about 30 minutes to get eight miles from the city’s downtown to Lemmon Valley, one of several basins in the North Valleys, which includes the Reno-Stead Airport. The area casts itself as a more rural alternative to Washoe County’s urban core. Untethered from the region’s main water and sewer systems, infrastructure has been an obstacle — and for some, perhaps a bulwark — to growth. With a new demand for industrial parks and homes, the rural status quo is being challenged by developers looking to build on the fringes, and it has created another layer of tension for some residents. But county and city officials argue it could also present an opportunity: They say there is no way to mitigate flooding without more infrastructure, and they argue there is no way to pay for infrastructure without a tax — few support that idea — or charging developers fees to pay for it. In other words, more growth. Earlier this summer, a seven-member planning commission unanimously denied tentative maps for a 490-lot development that included some of the floodplain near Swan Lake. 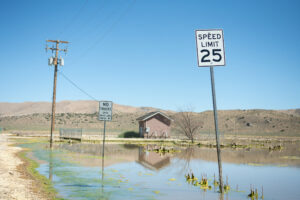 After about two hours of public comment from Lemmon Valley residents, multiple planning commissioners said the residential development, Prado North, should wait until the flooding issue was fully resolved. “We cannot keep building in Lemmon Valley without fixing Lemmon Valley,” Sarah Chvilicek, the planning commission’s chair, said before casting her vote, according to archived video. That was not what Washoe County staff had recommended it do. 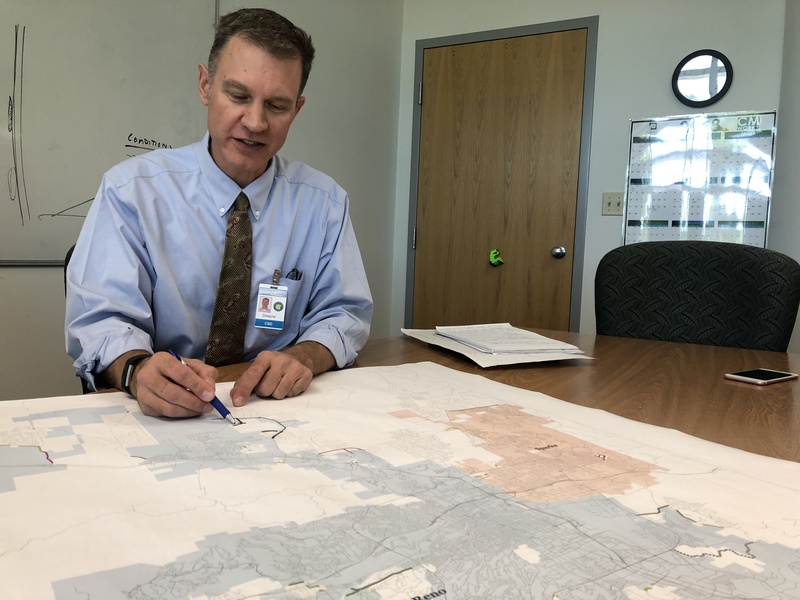 Staff for the county and the city have argued that developers, in closed basins like Lemmon Valley, play a necessary role in building infrastructure and mitigating flood risk. The Prado North plans, for instance, required the developer to elevate part of a road two feet above the elevation that the Federal Emergency Management Agency simulates as the highest-risk flood scenario. The thought is that the road, rather than Hesco barriers, would contain floods on the side of the road with less development. After the denial on July 3, the developer filed an appeal and brought the issue to the County Commission for reconsideration. On Sept. 11, the commission voted 3-1 to reverse the denial. The dissenting vote came from Commissioner Jeanne Herman, who represents Lemmon Valley and has called for a temporary ban on growth. She said the project will lead to more flooding. “I think we ought to have a moratorium on building in the North Valleys,” she said, a plea to the other commissioners that ultimately fell on deaf ears. Commissioner Bob Lucey argued that it would be difficult to fund the infrastructure needed to prevent future floods without collecting fees for it from developers, and that means growth, he said, is essential to fixing the problem. The only other option would be a tax or a special assessment. At many meetings, Holt-Still is often the only voice. But at the Planning Commission and the full County Commission this month, dozens of Lemmon Valley residents showed up to speak. Some residents supported a moratorium on new growth. Others expressed concerns about an issue that goes far beyond flooding. They worry that the encroachment of new subdivisions could splinter their rural lifestyle. Washoe County Commission Chair Marsha Berkbigler, who offered the motion to overturn the Planning Commission, said the planning board made an “emotional” decision, one that ignored the staff recommendation and did not follow requirements they are supposed to adhere to. “I think they made a political decision based on the concerns of people who were testifying to them,” she said in an interview with The Nevada Independent after the county’s vote. She also suggested that the concerns about suburbanization are playing a large role in driving the local opposition to projects like Prado North. As Holt-Still stood near the green Hesco barriers that line Swan Lake, I asked her what she thought of accusations that she was part of the NIMBY (Not In My Backyard) phenomenon. Stormwater did not make it into her home, but the new subdivision would be in eyesight from her front yard. After the heavy winter storms of 2017, water made it inside three homes and a church, and it blocked more than a dozen residents from accessing their homes. For everyone, the aftereffects are still visible. Access to homes can require detours, still nearly two years later. Some residents have left the Lemmon Valley community, Holt-Still said, moving in with relatives or relocating. The city and county have spent millions on recovery around Lemmon Valley. They have paid for heavy-duty pumps to keep the water in Swan Lake, off of the road and away from residences. Despite these efforts, there is still water outside of the lake. And for many residents, the local governments have not done enough and have been slow to respond. The residents and the commissioners have, at times, had an adversarial relationship. According to KOLO Channel 8, Commissioner Vaughn Hartung apologized in May after he was heard on a microphone saying “be gone and I hope a house falls on you too” following public comment from Holt-Still. The commissioner’s quip was seen as a reference to The Wizard of Oz. In a recent interview for The Nevada Independent’s podcast, IndyMatters, Reno Mayor Hillary Schieve said she recognized these concerns and was frustrated that the city has not always been able to move as quickly as Holt-Still wants. She said it’s important to focus now on future flood protection. It could take years for the lake’s elevation to equalize again at its normal levels, and winter is coming. Drops in the lake from evaporation during the warm months could be cancelled out during the winter. If it’s a particularly wet winter, that means there could be another flood event. Some have suggested pumping the water out of the lake and sending it elsewhere, a solution that would likely face legal and financial hurdles. 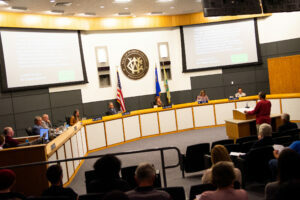 With Washoe County’s reversal of its planning board, Prado North again has the green light. Prado North is not the only proposed — or disputed — development in the area. Industrial development and many more homes are in the pipeline. If all the development that has been tentatively approved is constructed, more than 2,000 homes could go up in the area. And Lemmon Valley, remote enough to miss the last cycle of growth, could start to rapidly expand. With little political appetite for a moratorium on growth, the question becomes how to meet that demand. For the North Valleys, one of the biggest challenges with new development is what to do about a sewer system nearing capacity. 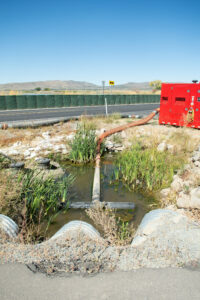 In the area, the county operates a small sewer treatment plant on Swan Lake, and the city of Reno, which has jurisdiction in some parts of the valley, operates a larger plant near Stead. By next April, the city hopes to have a short-term fix to free up more capacity in the sewage plant for growth by connecting its facility with the region’s main pipes and sending about 500,000 gallons per day of sewage to the Truckee Meadows Water Reclamation Facility in Sparks. The Truckee Meadows facility is shared by Sparks, Reno and Washoe County. John Flansberg, the city’s director of public works, said that in the long term, Reno plans to expand its North Valleys sewage plant to more than double the amount of waste it can treat. “The nuance to that… is that although I might have four million gallons of treatment capacity for the treatment plant, I will not have that much capacity for what we do with the effluent,” he said. 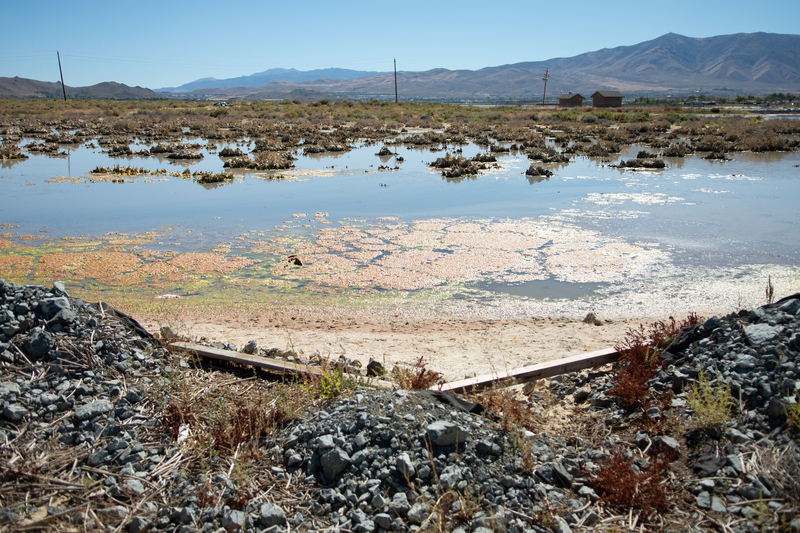 Earlier this year, when the city’s Planning Commission approved an industrial development in Lemmon Valley, McKenzie appealed the decision, in part, because of uncertainty around what to do with effluent — the reclaimed wastewater that is discharged out of the treatment plant. On Sept. 12, Flansberg gave a presentation to the City Council that listed some possible options. As with all issues, Swan Lake and the flood recovery efforts loomed over the talk. Right now, the city and county discharge their effluent into Swan Lake. Each year, these flows put about 1,300 acre-feet in the lake (an acre-foot is the amount of water that can fill one acre of land with one foot of water). Although it is a fraction of the lake’s 10,000 acre-foot capacity, the flows can make a difference during a flood. The same principle is true for the effluent, which is highly treated, as it is for stormwater: the only place for it to go is into the air or into the ground. “What I’m really looking forward to as we continue this discussion is having things I can do with the effluent during high water years so I don’t have to put it back in the lake,” Flansberg said. Some of the options for effluent storage include building a reservoir or injecting it underground in nearby basins. The city has looked at Bedell Flat as a possible spot for groundwater storage. The county has expressed interest in acquiring Bedell Flat from the Bureau of Land Management as part of its push for a federal public lands bill, KOLO Channel 8 reported. The City Council voted on Sept. 12 to continue exploring several options. Council members want staff to study the reservoir option, analyze water rights and send more wastewater to the Sparks facility. McKenzie said he was satisfied with the short-term plan to send sewage to Sparks and could be willing to drop his appeal of the Planning Commission decision. 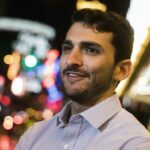 That appeal is scheduled to go before the City Council on Wednesday. Caught in the middle of all this are the valley’s residents. Residents are still concerned more development will lead to more flooding. Although the plans for Prado North require additional mitigation, such as removing fill from the flood plan to increase the amount of water that it can hold, residents worry the requirements are not stringent enough. Several residents are participating in a class-action lawsuit against the city of Reno, which controls a main road in Lemmon Valley and has some say in which projects are and aren’t approved. The lawsuit cites a 2007 study on flooding in closed basins like Lemmon Valley. Residents allege that the city failed to follow the study’s recommendations to build flood mitigation infrastructure, such as retention ponds, at Swan Lake. The mitigation could have cost millions of dollars. As the Reno Gazette-Journal reported this year, little has been done to put such mitigation measures in place. Smith, the county’s engineer, said flood mitigation is a key goal. 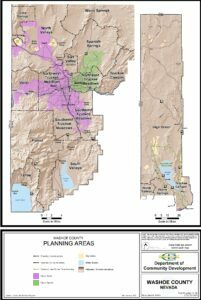 The county commissioners, he noted, have directed Washoe County staff to create a flood response plan for basins like Lemmon Valley and use studies to recommend a mitigation plan. But residents like Danny Cleous, who filed the class-action lawsuit, look at the water in Swan Lake and remain skeptical. At a recent meeting, Cleous asked commissioners to place a moratorium on growth.